Now that the dust has settled and all the hype is dying down, I can finally take the time to write about my experience about the trade show. As you may or may not know I was there working the ActionSportGames booth at IWA 2016… working the floor, showing off the products and giving those ever joyful interviews. 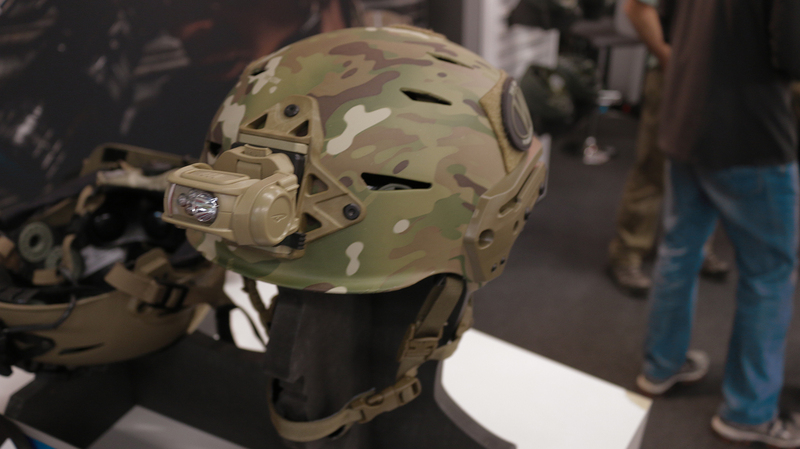 Now I didn’t just work the booth, I also had the chance to walk around and see some cool stuff and talk to some great people both Airsoft and real steel. Before IWA got off the LEAF only trade show Enforce Tac was held on the 1st floor at the convention center. It’s a small trade show, where companies show off all the goodies. How I got a ticket for that… well that’s going to remain a secret. 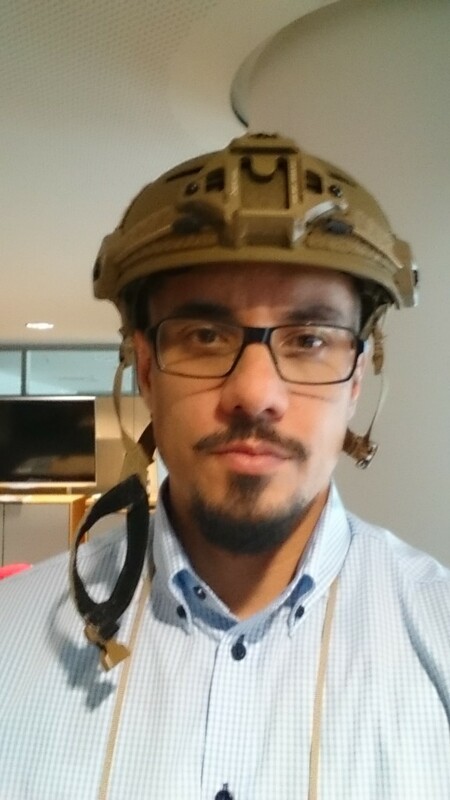 Let’s just say, I know people and deep dark secrets even though I just work with Airsoft. So when you’re at a LEAF only event…. and you don’t have military budget most companies don’t really want to bother with your questions and interest in gear. Which is fair enough, they are there to get big government contracts, NOT talk to some gear nerd about stuff he can never afford. On that note… Boy there were some nice toys I will never afford. I didn’t get too many pictures (again companies don’t like posers or in my case a broke civilian) but here is what I noticed at Enforce Tac. 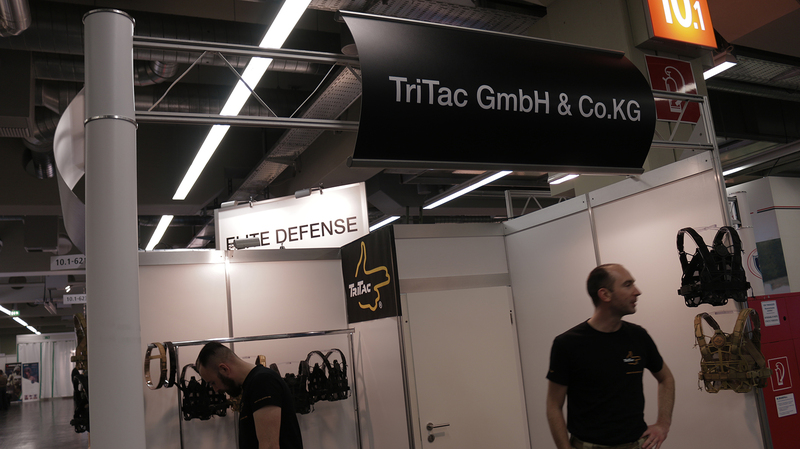 First off, German based Tritac showed off their “Plattenträger”… I’m not even going to try and translate that. As you might have noticed right away it’s very similar to the S&S precision Plateframe. The cut of the skelenton mid-frame and mag pocuhes have different cuts but all in all the “Plattenträger” is definitely inspired by the Plateframe. Now where the “Plattenträger” is very different is the amount of fabric. The Plateframe has a lot of hypalon design which is really appealing to LEAF users that operate in water or very wet conditions. This keeps the operator (I know, overused word) at a minimal weight when getting wet. 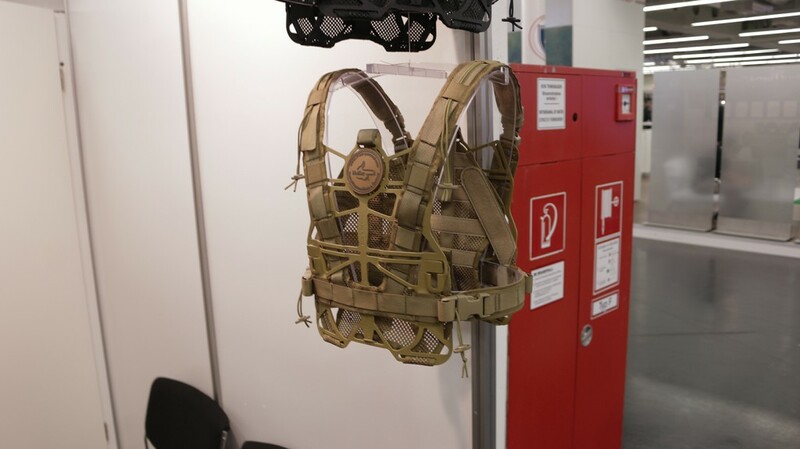 If you thought your tactical vest, with pouches filled up and ballistic plates were heavy, then try submerging it and see how it feels. The Plateframe really keeps added water weight down. 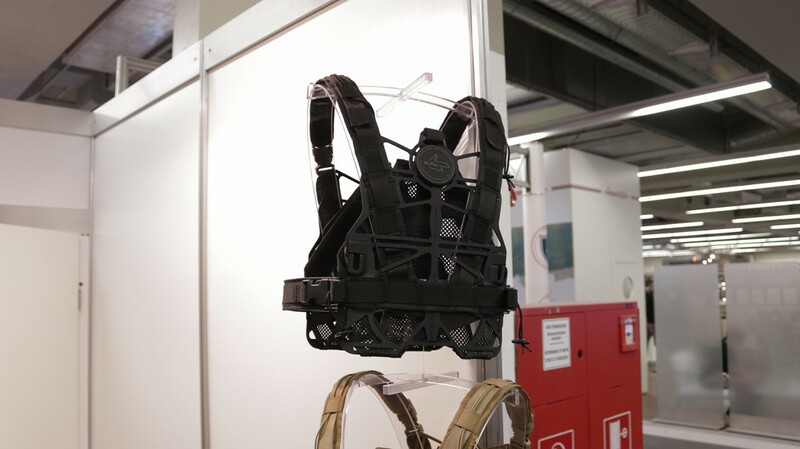 The “Plattenträger” has some nylon fabric as its base design but it’s still not a lot compared to your standard plate carries but when it comes to wetworks or maritime type operations the Plateframe still favors in my opinion. Walking around and looking at all the scary brands like HK, Thales, L3 and so on, I spotted Holosun. 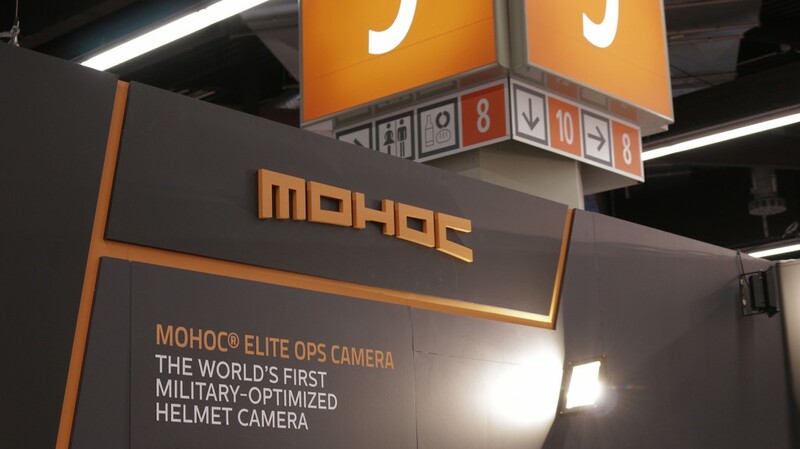 I was surprised to see them there, Holosun has always been in my opinion ‘not really’ but still a real steel optics company but not Airsoft either. 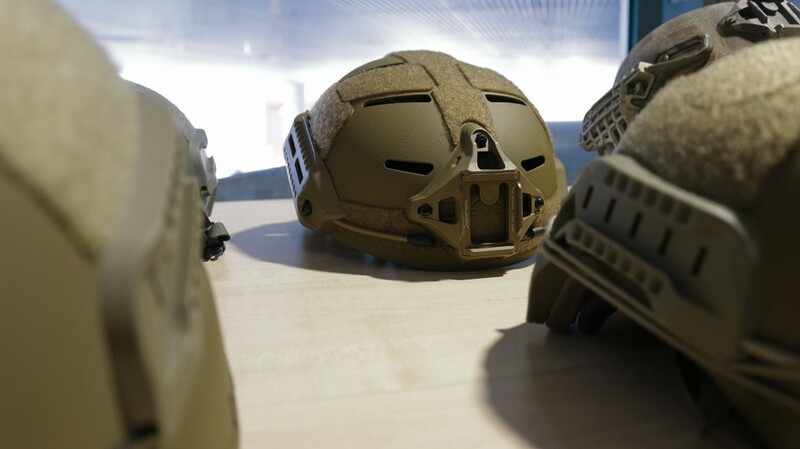 You don’t see them out a lot on real guns – I don’t, at least not in europe and a lot of Airsoft retailers sell them so that might give off a distorted perspective on their products – but they had some new things I’ve haven’t seen before and it surprised me in a very positive way. Not that their products are bad, but just didn’t expect to see them at a LEAF only show. Now they had some really interesting products I wasn’t expecting from them. Usually you just see their optics out on the fields so it was a pleasant surprise to see they had more to offer. 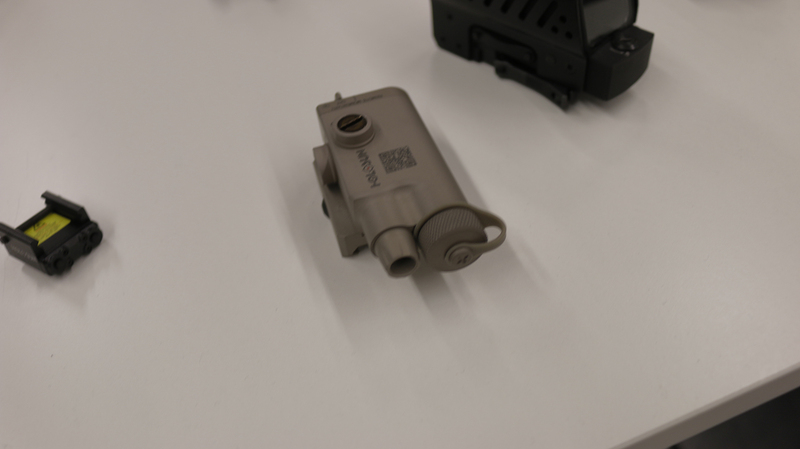 What was really interesting was to see their line of laser/lights devices. 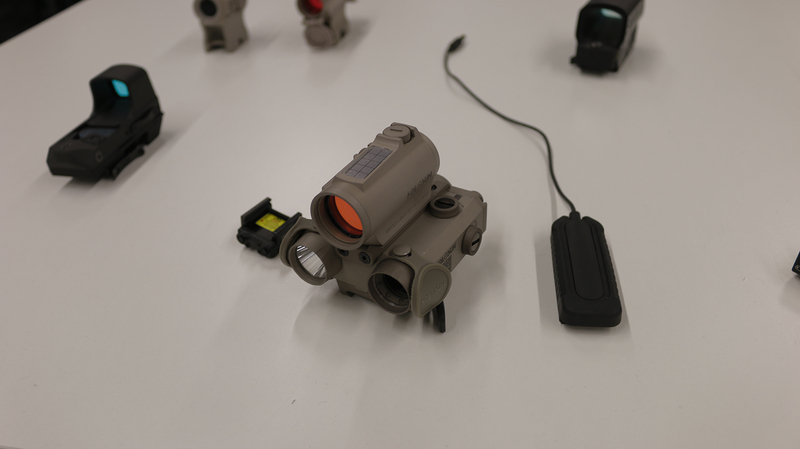 They offered the lasers both as visible and IR. The lights were also very high in lumens, some at the high point of 1000 lumens. Now for outdoor use, a high number of lumens are always appreciated and of course blinding bad guys at the right end of the rifle. 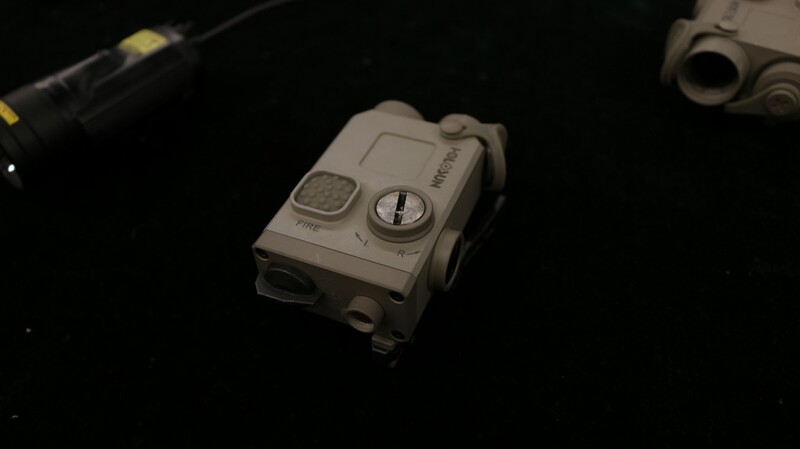 However for CQB environments the 1000 lumens is sure to give you backlight and blind you or your fellow mates. Nonetheless, the products they are putting out are very interesting and should definately be on your watch-list. Ok so this is all about IWA right, well let’s get to it then. But before I start on all the other goodies let me show you this one first. 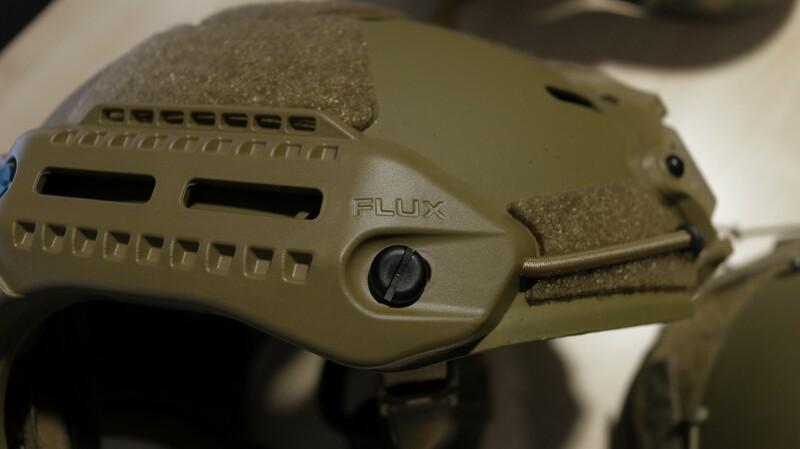 The MTEK – FLUX V carbon helmet. Man oh man, I’ve been waiting to get my dirty hands on the FLUX for some time now. 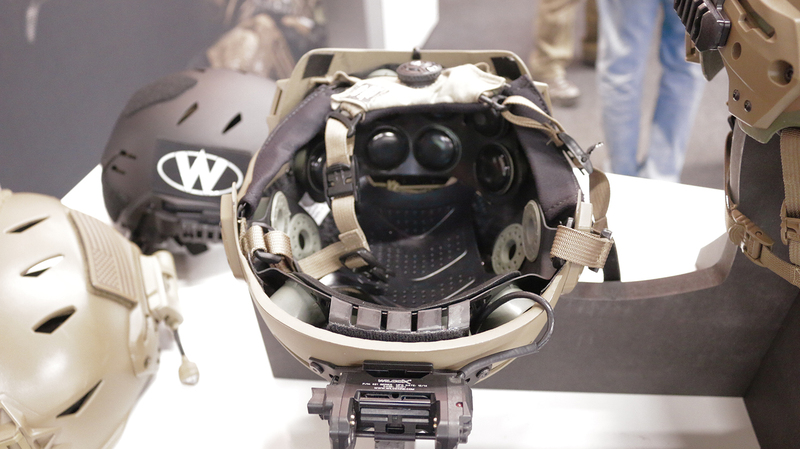 Now the FLUX helmet was displayed at IWA by CS Consult Group at the top secret LEAF only floor at IWA. Getting on that floor required LEAF credentials or invite. Luckily CS Consult Group was gracious enough to give me the OK to stop by and I still had my Enforce Tac ticket to grant me access. Liner/Padding picture courtesy of Mtek – I was a bit of a rush, because I wasn’t sure if I was allowed to take pictures… Top secret stuff was going on there! But in all seriousness it was a very comfortable fit, I did have some concerns with it not having the same dial system as Team Wendy’s CAM FIT Retention System but the fit wasn’t an issue what-so-ever. 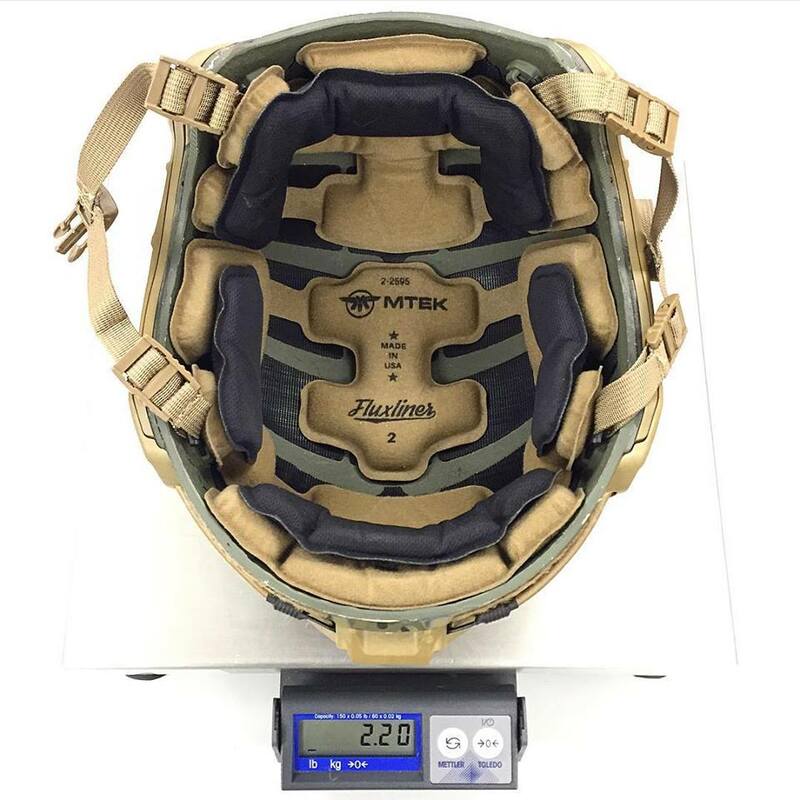 Plus the liner pads allows for custom fitting so if your skull doesn’t give a snug fit, you have the option of fitting it better to your needs. Now that we’re on the helmet subject, I also stopped by Team Wendy… where I did get to try out the CAM FIT Retention System. 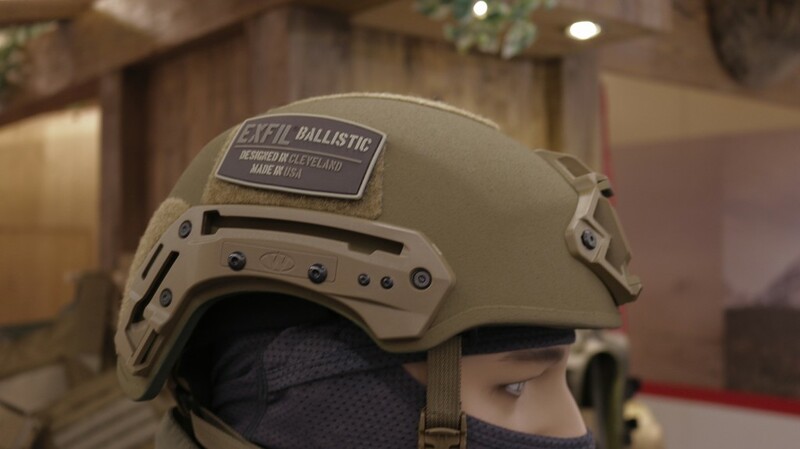 I tried out the EXFIL ballistic helmet and it’s a damn nice helmet as well. The people at Team Wendy are always super friendly and really accommodating, this is my 3 year at IWA and they’ve always greeted me with a smile and happy to answer my questions. I was amazed of how easy the CAM FIT system works – you simply pull out the dial at the back, turn it to tighten it your skull and… well that’s it. Fast, easy and it works. The liner of the EXFIL is sweet as well. I won’t lie, Team Wendy does it right. 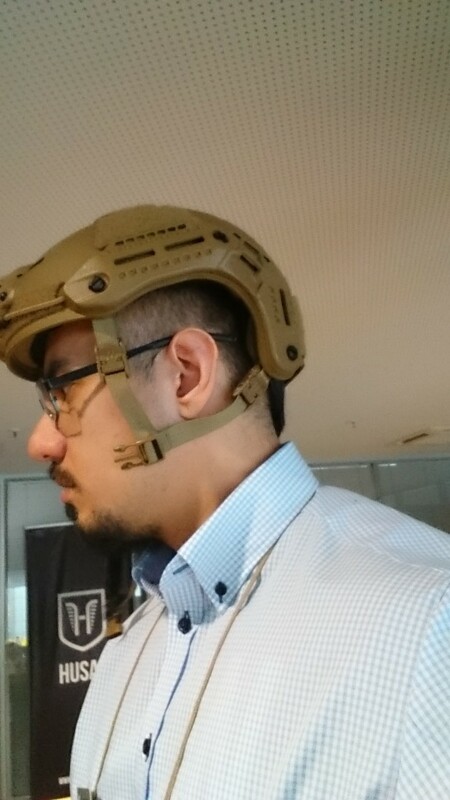 The helmet is a nice and very comfortable fit – Its padding/liner looks like your skull is going to be swimming in pink teddy bears – to be honest, that’s not the case. The futuristic look is more about impact than comfort. Don’t get me wrong, it’s very sweet fit and total comfortable to wear for a long period of time. Staying on the Helmet subject I also got to see the MOHOC camera. In case you’re unfamiliar with the MOHOC this is a milspec camera made for LEAF operations. 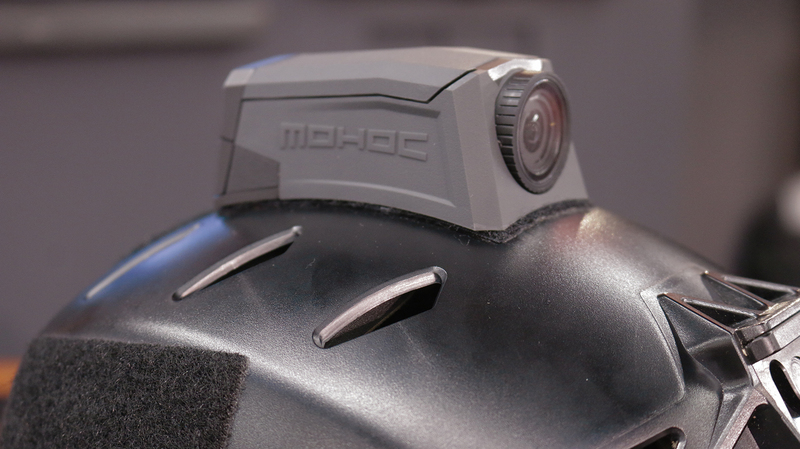 It’s built to withstand the conditions commercial action cameras buckle under. 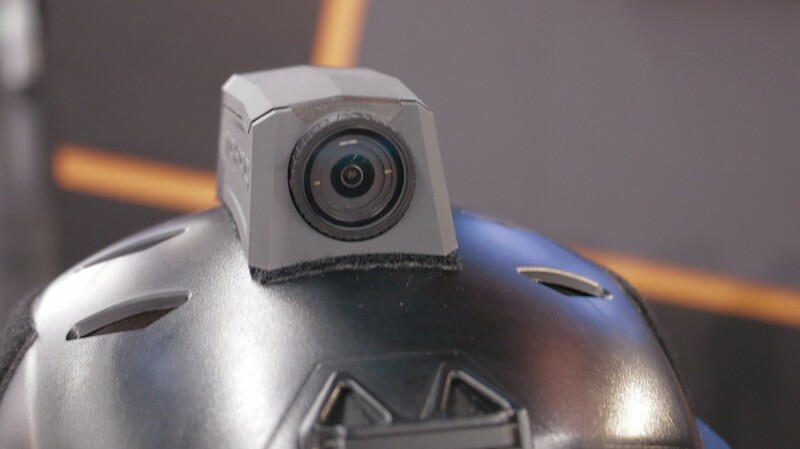 One of the most important features on the camera is the option to rotate the lens to accommodate the placement of the camera on the helmet. For me personally I like having it on the side to give a better PORV…point of rifle view, yea I just made that up. 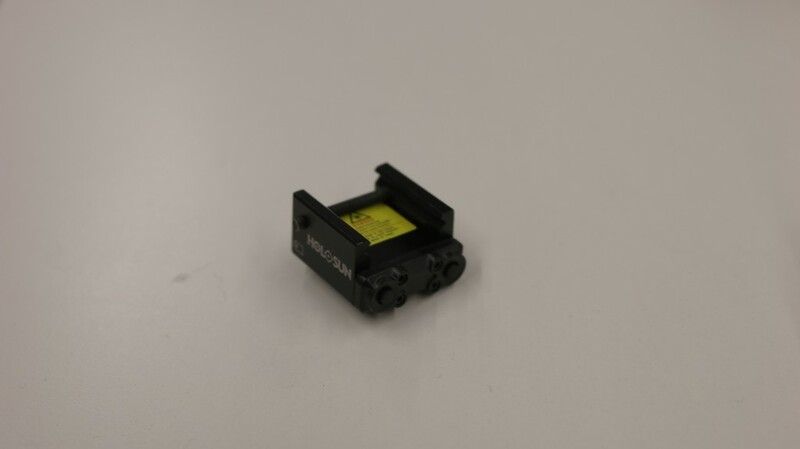 Another really sweet feature is the option to use CR123A batteries instead of the included one. This is great because it allows you record a lot more without having to buy proprietary batteries. 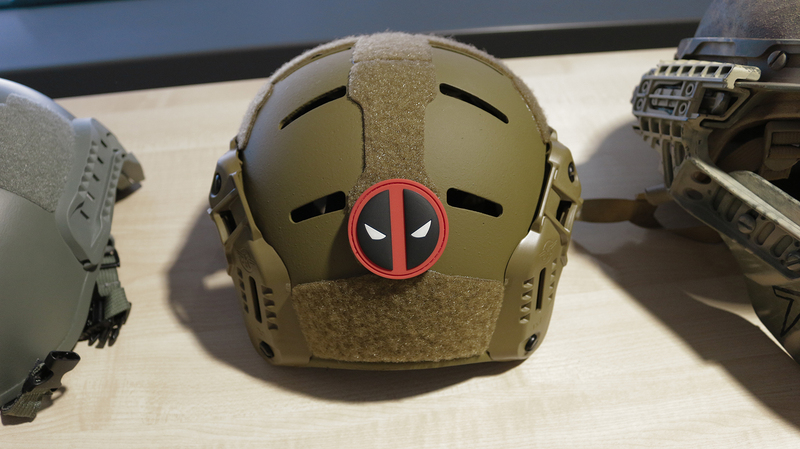 It’s attached to the helmet by velcro and the slightly curved design really makes it hug the helmet. The App for your smart devices isn’t out yet, but should be very soon.